In today’s digital world, professionals of all types are looking for easier ways to quickly learn and consume content that will grow their knowledge and current skill set. Enter micro-learning. Micro-learning is a short-term focused way of learning that provides just the right amount of information needed to help achieve a specific objective – skills-based education for example. When designed right, learners can select and use the content most applicable to their needs on whichever device they choose; which means access to bits of information exactly when it is needed, also known as just-in-time learning that is well-suited for today’s workforce. Increase member engagement and retention. Anytime your chamber can solve a problem, you increase the chances of retaining that member. Improve member job efficiency. It will build interest for additional chamber training. Provide a value-added service to members. Allows for “personalized” content. Micro-learning assets can be tagged creating strong metadata, so learners can easily find information on their specific job-related tasks to meet their immediate needs. Trainers and development departments can use micro-learning as a component of a larger training initiative or support. It can help ensure accuracy throughout the industry. Assets can be an affordable communication tool, easily produced and maintained. Better understand where member knowledge falls short and create more assets to fill education gaps. Have a micro-learning strategy. Outline clear standards to ensure consistent branding that helps to guide micro-learning development. 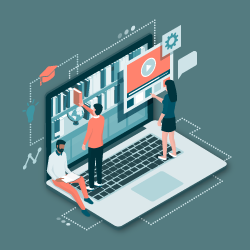 Build connections between all of your digital micro-learning assets AND your more in-depth training assets. Include strategic use of images, principles, and keywords in all assets. Cross-reference all related training material in every asset to keep them coming back to learn more, and to also make the big picture clear. Design a game where learners advance to the next level by answering questions correctly. No matter what your chamber produces, the key is to make sure your learning assets are mobile-friendly, easily found and quickly digestible.